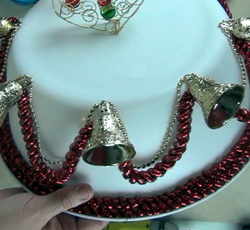 Use a simple white basin from the dollar store to create your own Christmas party centerpiece. This is a great way to keep your delicious treats fresh and tasty! 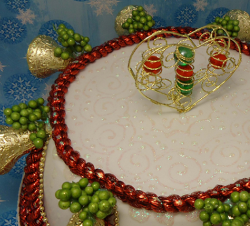 This Seasonal Dollar Store Centerpiece from Candace Jedrowicz is whimsical and so easy to make. Turn the basin over and sand the outside to a matte finish. 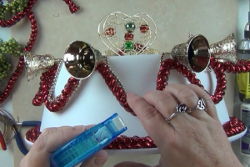 Drill two holes in the center to wire the ornament/handle to the basin. Wrap the wires together on the inside of the basin. Use a pencil to mark opposite edges, in half first, then quarters, then eighths. Place two Tacky Dots (one on the edge and one just below it). 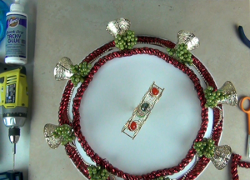 Attach the accent garland allowing it to drape between attachments. Cut off excess and attach the ends. 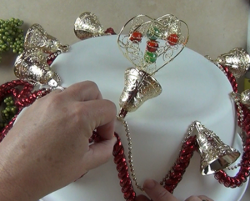 Pick up one bell at a time to attach the red garland, draping just below the gold garland. Use the Tacky Tape Runner to hold the draped garland in place. 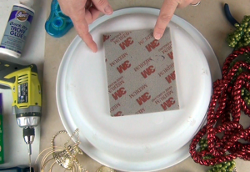 Use Aleene’s Tacky Quick Dry Glue to fasten a double thickness of red garland in the rim of the basin. 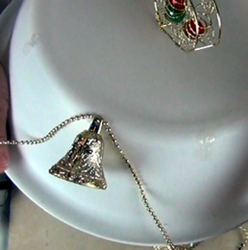 Use Aleene’s Tacky Dots to attach the greens to the top of the bells. Glue red garland around the top edges. I added swirls, stripes and dots of glitter glue to complete the iced cake look. 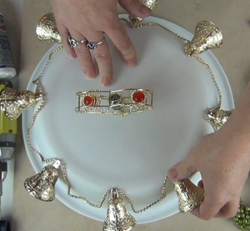 For a comprehensive video tutorial of this project, check out How to Make a Dollar Store Centerpiece. 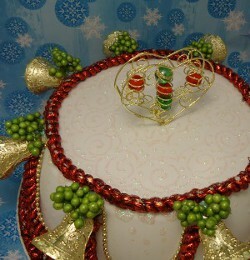 What a fun idea to make a fake cake for display for Christmas! I never would have thought if this! So many times you can outdo yourself, but your creation is devoured and only a memory ... 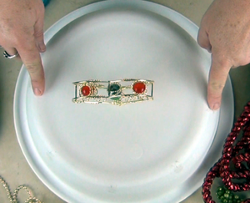 This can become a family heirloom and tradition to be brought out each year! Have the kids help to really make it a family project! Love the pretty e,bellows,ente and scrolls for the 'icing'.... Fun!